Ohio Power Washing uses a three-step process to clean and restore outdoor wooden structures without using any high-pressure washing or harmful chemicals. 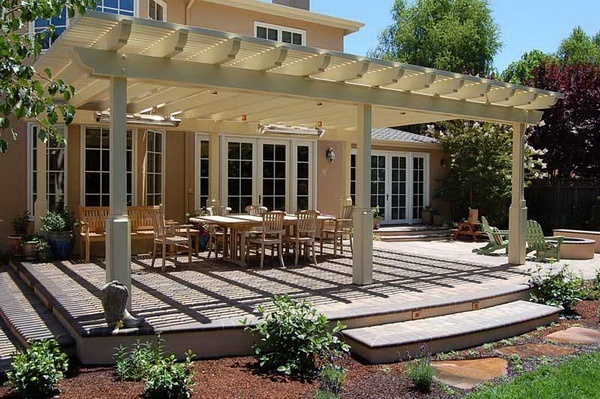 We specialize in (High Volume Low-Pressure Systems), used on bamboo, cedar, redwood, pressure treated lumber, pine, mahogany, ipe, and birch among others. We clean cedar siding, decks, log homes, cedar shakes, gazebos, fences, and docks. Our products are natural, organic, non-toxic, environmentally safe, and USDA approved. They are safe to use around children, pets, swimming pools, and plants. The Ohio Power Washing wood care method brings wood back to its natural tones without damaging the surface. We can make old dingy wood look new like the day it was installed. Gray and black stains vanish with our unique system. All exterior wood surfaces need to be protected from rotting, water absorption, ultraviolet rays, moss, and mildew. If left untreated or neglected your wood could deteriorate costing thousands of dollars in unnecessary damage to your Central Ohio home. At Ohio Power Washing, we specialize in professional cleaning, stripping, brightening, and sealing of all types of wood decks, fences, homes and shake roofs. For many of our wood projects we start with stripper to remove any existing, mill glaze, dirt, moss, mildew, sealers or paints. Our company then will apply a special cleaner to clean all existing wood surfaces and finally wood brightener to bring out the original luster of the wood. This is essential to restore wood to its most natural state. Depending upon the condition of the wood we also offer wood refinishing using a variety of different sanders specific to the job. Our wood staining contractors will provide the Central Ohio homeowner with a sample lists of stain choices to help match the wood to the condition of the home and surroundings. The final step to the process is sealing the wood to protect it from weathering. 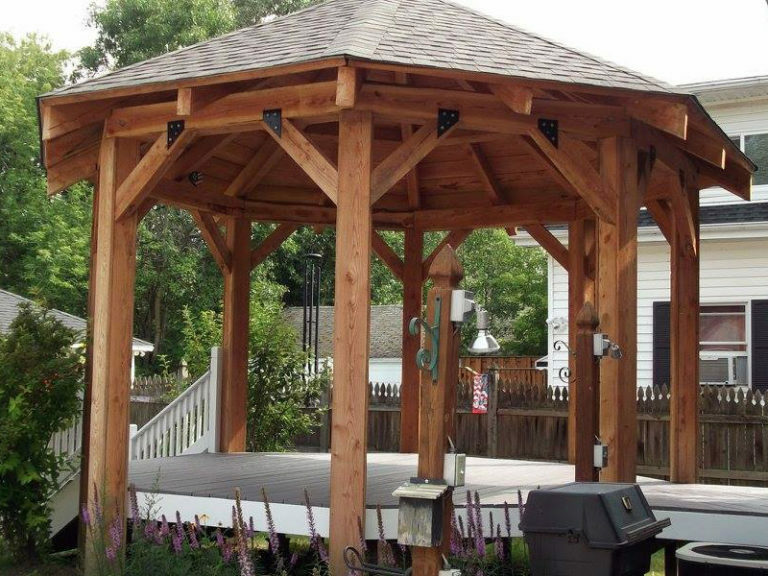 As the surface of wood gazebos is exposed to sunlight, dirt, mildew, rain or snow it eventually deteriorates or fades in appearance. Even the toughest finish will succumb to weathering within a few years and will need to be refinished. A proper cleaning is an essential first-step in the refinishing of gazebos. As the surface of a wood trellis is exposed to sunlight, dirt, mildew, rain or snow it eventually deteriorates or fades in appearance. Even the toughest finish will succumb to weathering within a few years and will need to be refinished. A proper cleaning is an essential first-step in the refinishing of trellises. 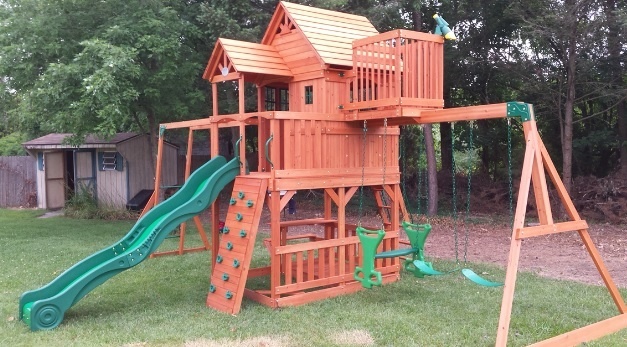 As the surface of your wood play-set is exposed to sunlight, dirt, mildew, rain or snow it eventually deteriorates or fades in appearance. Even the toughest finish will succumb to weathering within a few years and will need to be refinished. A proper cleaning is an essential first-step in the refinishing of your play-set. 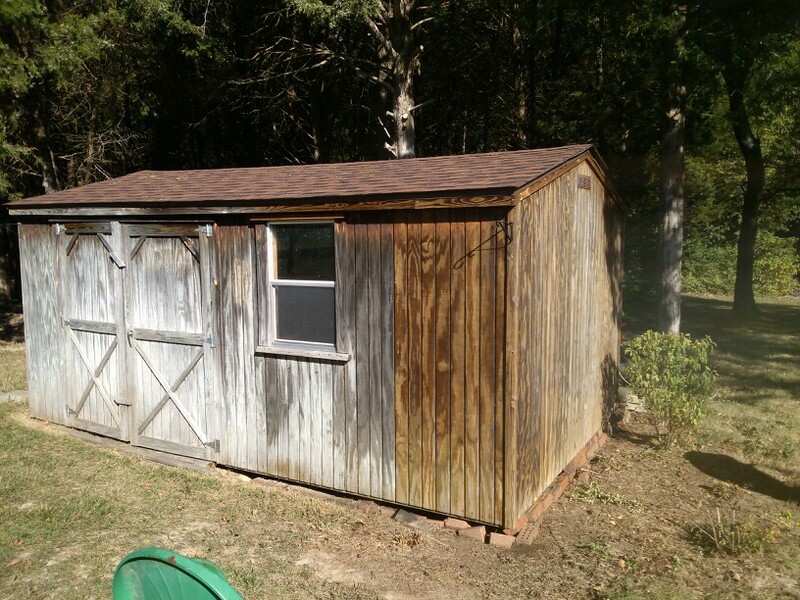 As the surface of your wood shed is exposed to sunlight, dirt, mildew, rain or snow it eventually deteriorates or fades in appearance. Even the toughest finish will succumb to weathering within a few years and will need to be refinished. A proper cleaning is an essential first-step in the refinishing a shed. We Provide the Best Solutions for Exterior Cleaning in Central Ohio! We stand behind our work 100%. Our job is not finished until you are totally satisfied. Our business does well year after year only by making each client so satisfied that they would hire us again, and recommend us to their family, friends and neighbors. We only accomplish this by completing your project perfectly to your satisfaction. We are proud members with an excellent rating with the Better Business Bureau, and are happy to supply references at your request. The founders of Ohio Power Washing are born and raised in Central Ohio. Our family and friends live here. We go to church here. Our kids probably play little league with yours. We have nothing without our reputation, so quality and your satisfaction are our only priority.